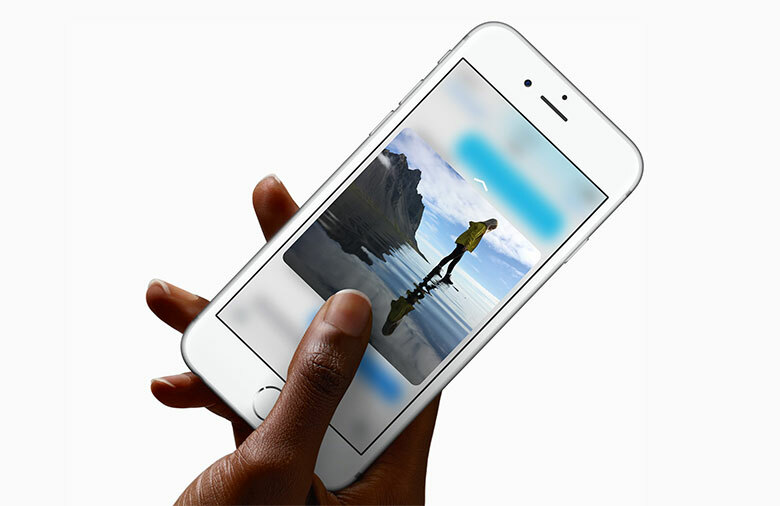 3D Touch was one of the major highlights of the announcement of the iPhone 6s, even though analysts don’t consider this feature to be hot enough to make this phone sell like hot cakes. That said, there’s no denying that the idea of being able to perform actions on an app without needing to launch it is nifty, so we don’t blame you for being excited if you are. Those of you who couldn’t pre-order an iPhone 6s to give this a try might be in luck with an older iPhone though. 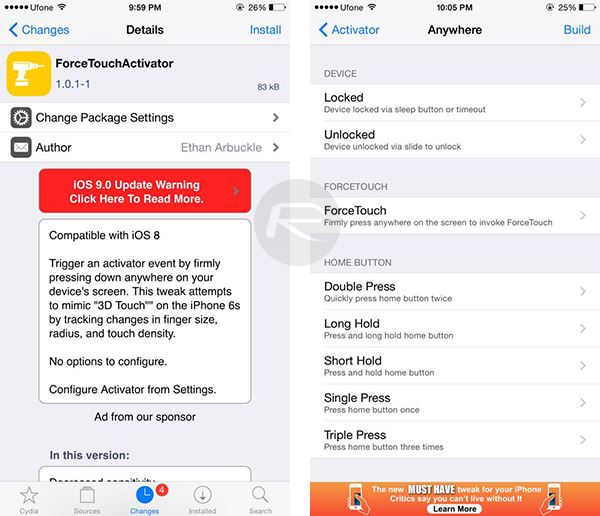 You know the Jailbreak community is always a step a head or a step behind, and today we find a nifty new hack called ForceTouchActivator for existing iPhones. The service mimics 3D Touch in that it detects the force you apply on the screen, but given the lack of hardware for this on legacy iPhones, what the app does is detect de size of your finger press on the display in order to actuate. At the moment the hack is a work in progress though, lacking the fancy menus that we currently see with the iPhone 6s when you force-touch an App sadly. It’s only a matter of time before this feature gains some more benefits though, you know how this works. We’ll keep you posted as soon as we learn more.